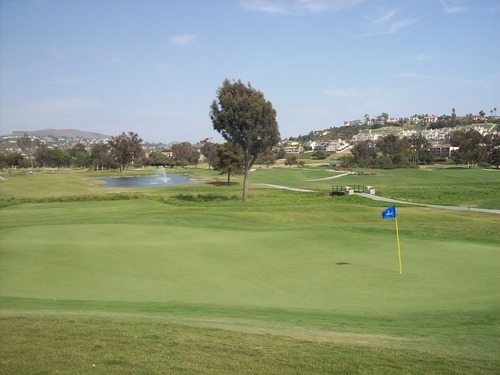 As I’ve mentioned in previous posts about my “to do” list in San Diego County, I primarily have muni courses, military courses and higher-end resort courses left on my list. 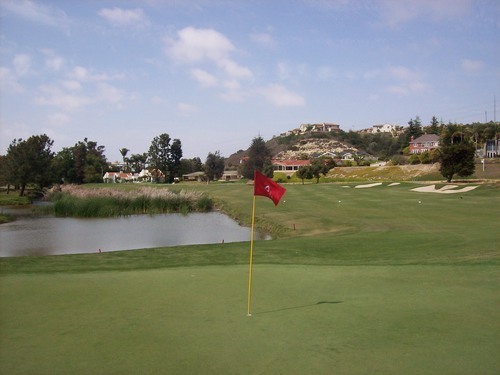 It’s been making it a little harder to chip away at my SoCal list in that region, especially when I’ve been finding a lot of good deals and easy-to-make online tee times available in other parts of the Southland. 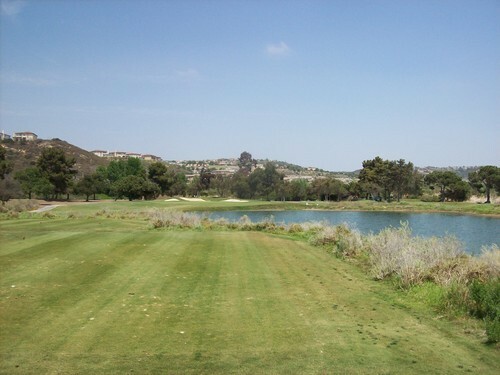 Well, today was a chance to check out one of the higher-end resort courses in North San Diego County, so I jumped at the opportunity. I played with a couple of buddies. I won’t comment on what I paid, but let’s just say one of them is very well-connected and we got a killer deal. I’m very grateful for that, as well, because had I paid the full $250 rate they generally ask for on a Saturday, I would have been sorely disappointed. As it was, I was able to enjoy it more. We teed off a little before 11:30 on the Champions Course. 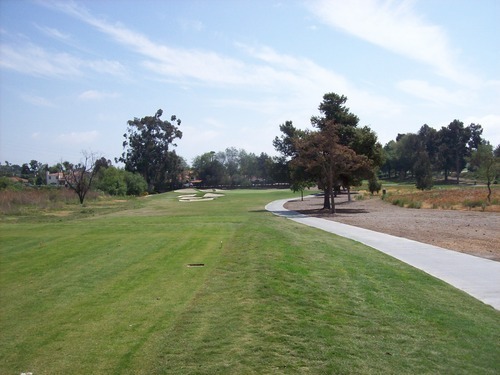 This course (formerly the North Course) was significantly renovated a couple of years ago. 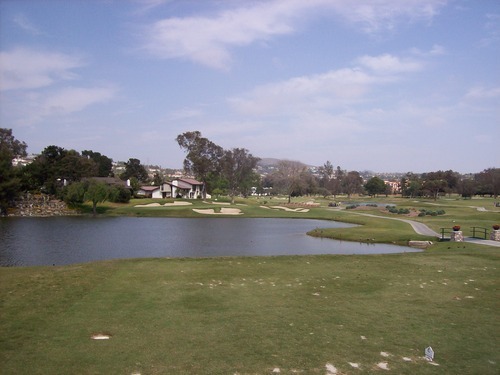 As it so happens, they just closed the South Course this week for it’s own major renovation. It sounds like it will be set to re-open next Spring and will be known as the Legends Course. 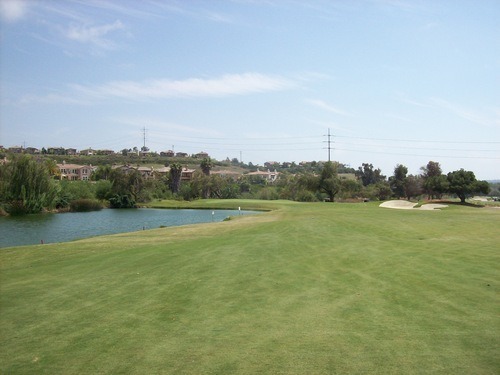 Our group was behind a number of member groups, and with all members and resort guests playing on one course, it was naturally a little slower pace. We finished in just under five hours. Around the clubhouse, everyone working at the resort was friendly and helpful, so I’ll give the staff a nice thumbs-up. 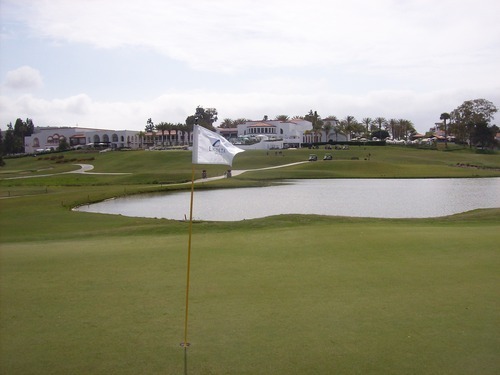 La Costa is a big resort and the facilities there seem very nice, so I had very high expectations for the course as I pulled into the property for the first time. Champions is a solid course. The layout won’t blow you away with anything too dramatic and the scenery will not make your jaw drop, but it’s fine on all levels. I never played here before the renovation, so I don’t know all the details of what they changed. 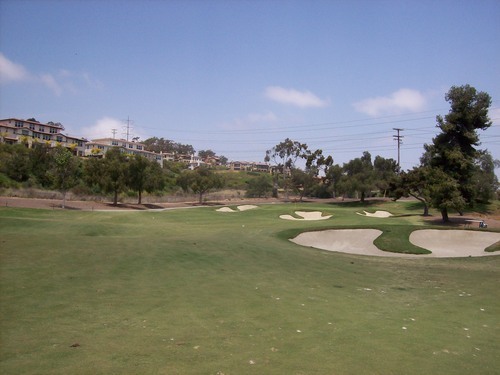 I do know they made it play much tougher with more pronounced bunkering throughout and harder-to-get-at green complexes. 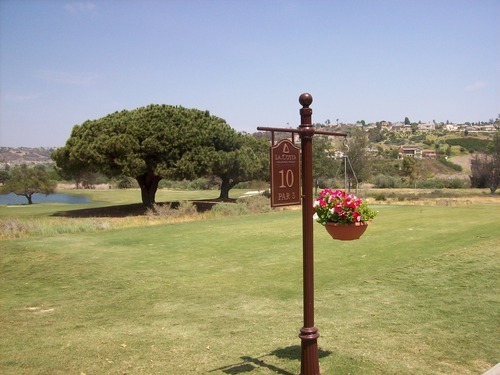 When you are standing on the tee boxes, the course can be a little deceptive. With the large, strategically placed fairway bunkers, some of the landing areas look very tight. But when you get out there, most of them have a little more room than you think. 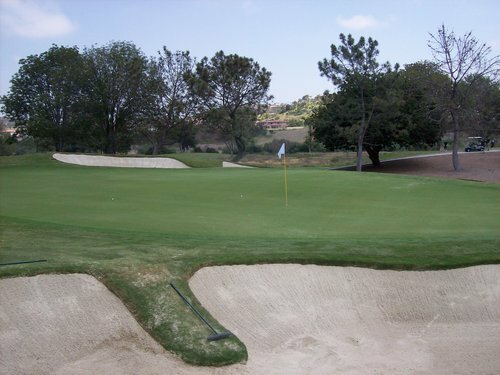 Still, it pays to play safe, smart shots to ensure good approach angles and stay out of the massive fairway bunkers. 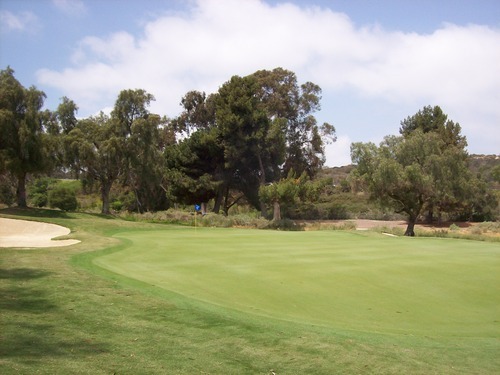 The greens are medium-sized and most feature some tricky undulation. 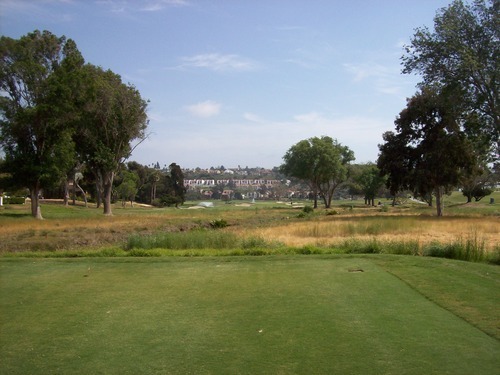 They can be unforgiving on approach shots because they are pretty well-protected by false fronts and sand traps (and water in some cases). 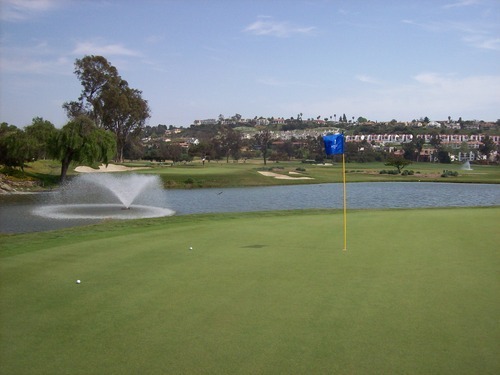 But for putts, they are not as hard as they look. 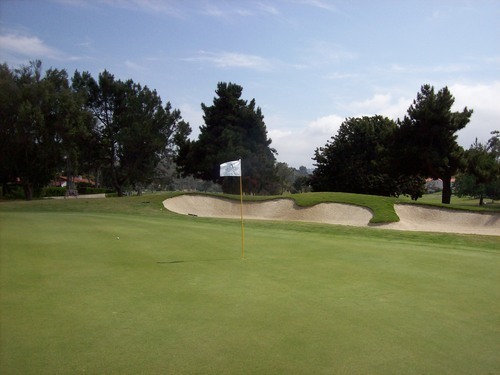 I don’t recall very many instances today when anyone on our group severely misread a putt or had a three-putt, even on long ones that might seem super tough coming down or over a big hump. 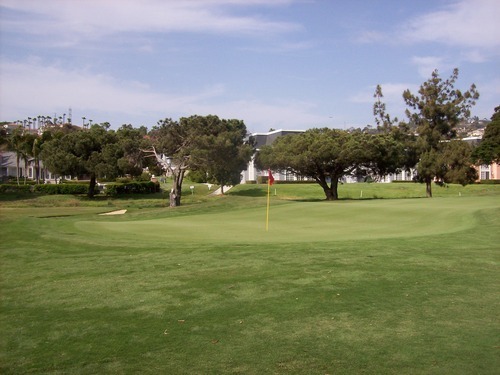 That said, there were very few putts holed out from any significant length, so it certainly won’t give anything away. 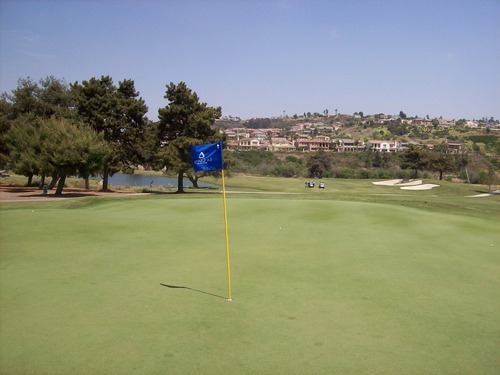 On most holes, you are still happy with a two-putt if you are outside of 20 feet. Plenty of water comes into play, especially on the back nine. I definitely enjoyed the back nine layout much more than the front. There were a few nice holes on the front, but nothing that stuck with me. On the back nine, there were a number of holes that stood out like numbers 10, 13, 15, 16 and 18. 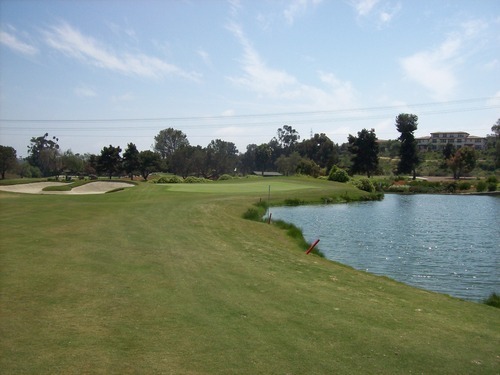 The 16th is kind of the signature par-3 hole with the tee box right by the clubhouse and a tough shot over water too a narrow green. Speaking of being right next to the clubhouse, it was a bit odd here because the “adult” pool area is right above the golf shop and overlooking the finishing holes. For most of the back nine, we could hear the loud party music blaring from poolside and it was kind of unusual with that as a soundtrack as our round came to a close. 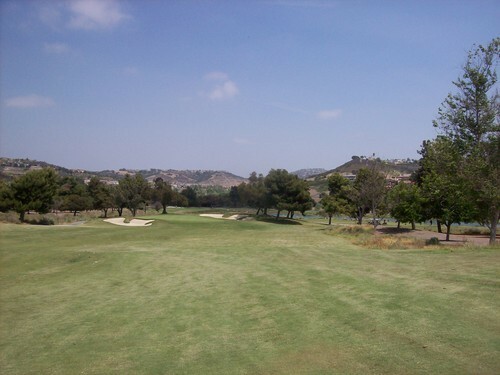 Where La Costa disappointed me today, though, was the conditions. Considering this is the middle of spring, I would expect the course to be in excellent shape, but it wasn’t. It wasn’t horrible, but just not what you’d expect for a place that charges as much as they do. It seemed more like the dead of summer out there because the course was very dry. The tee boxes were fine. 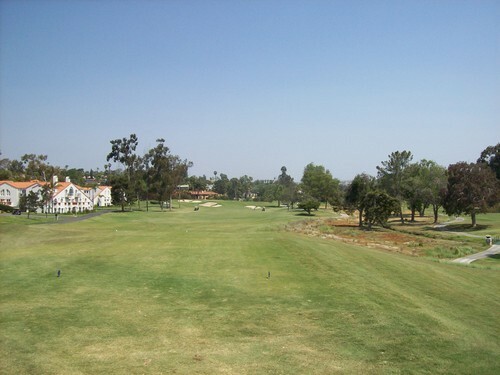 The fairways were firm and thin, providing lots of roll-out on drives, but tight lies for your approach shots. The rough was a mixed bag. 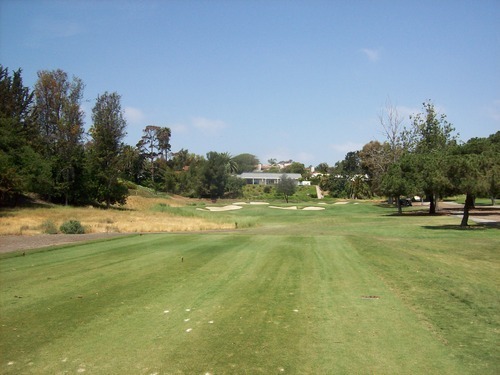 Some areas were completely shaved down and not much different than the fairways. Others had a bit more grass, but the first cut was never too thick. 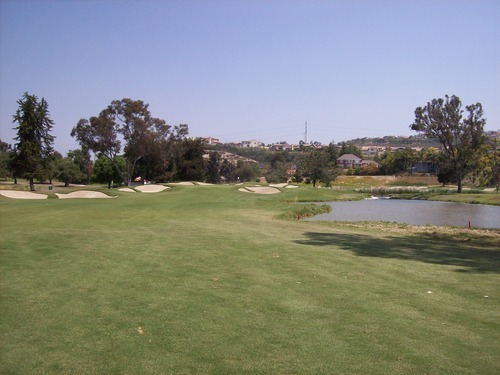 There are a lot of “native” grass areas around the course where everything is grown out and you are sure to lose a ball if you hit into it. 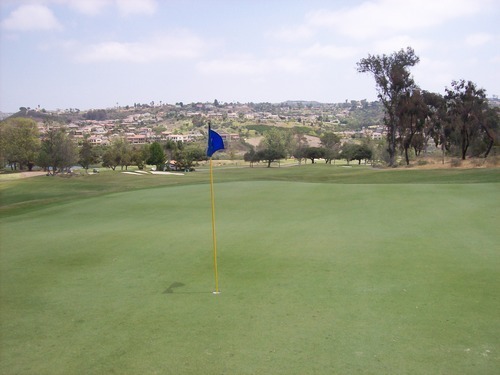 The greens were very firm and hard to hold. Because they can be tough to get at if you don’t have the perfect approach angles, that makes it tough to fire at any pins. 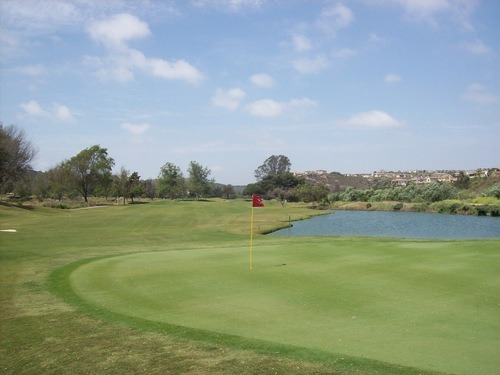 I’d love to see La Costa’s Champions Course in pristine resort conditions and that might give me a better overall impression of the course and its layout. As it was today, I was definitely underwhelmed and very glad to have gotten a fantastic deal to play there. So on one hand, I am grateful for the chance to play it. On the other, it’s hard not to think of those people spending large amounts to play a course in less-than-stellar conditions. Hopefully once the other course is renovated and I ultimately come back to check it off my list, things will be better and I’ll be more impressed.